We were delighted to be working with one of our long-term customers again on her latest project, Growlers in Headingley, Leeds. 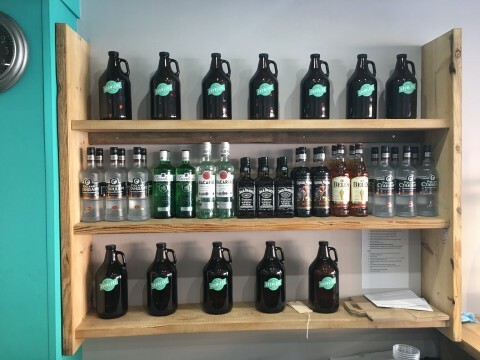 The concept is a proper craft-beer shop with deliveries, tasting sessions and of course the infamous Growler (be careful if you Google this as there are a couple of definitions!). For the external signage, the client wanted something simple, clean and bold. 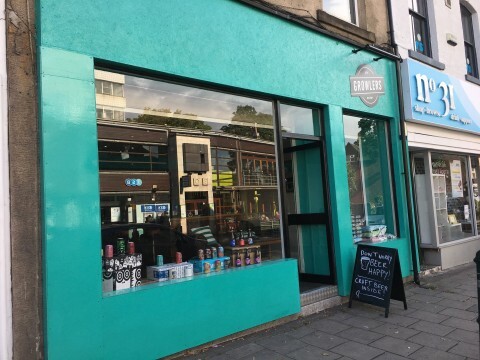 The fascias were painted in the brand colours and we contour-cut a dibond sign to be installed in a prominent position. 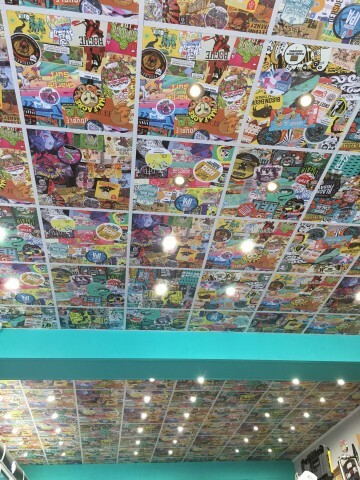 The interior of this shop is something to behold! 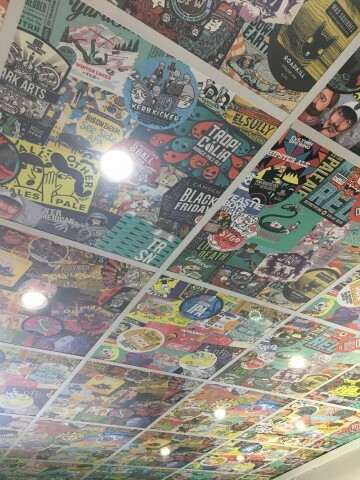 Alison came up with the brilliant idea of replacing the ceiling tiles with a montage of logos from the beers they stock. She worked with designer Danny Pig on the unique design and we printed it onto 2mm display board. With our sister company, Leeds Printing Company, we also produced the stickers for the Growlers and the tags for the guest beers. 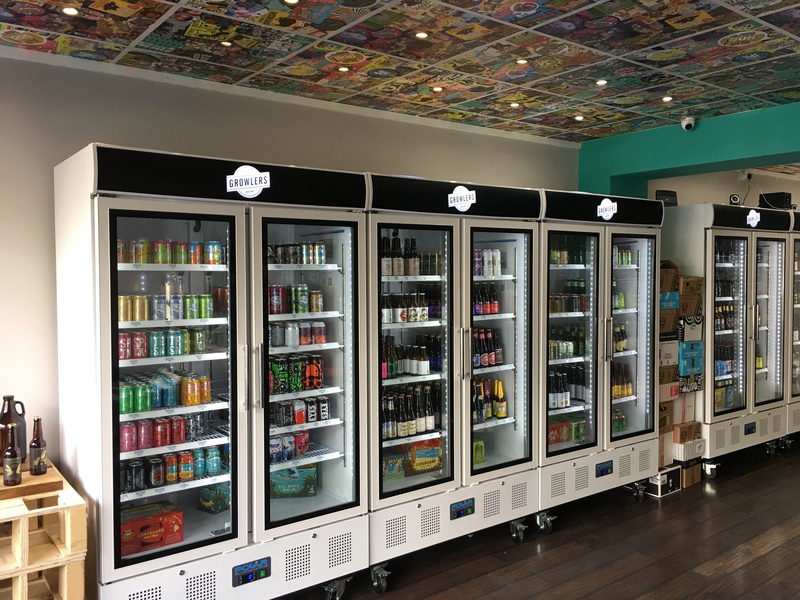 If you’re in the area, its really worth a visit to admire the amazing signage, try a beer and of course leave with a Growler full of booze! See something you like? Get in touch for a free, no-obligation quote from a member of the Dock Street Signs team – info@dockstreetsigns.co.uk | 0113 3226442.